Today we have teamed up with Heather from Bestowed to showcase their October Back to School box. Heather is a Registered Dietitian who is also a mother of three and wanted to create a box this month to help moms everywhere come up with some ideas for the dreaded lunch box. 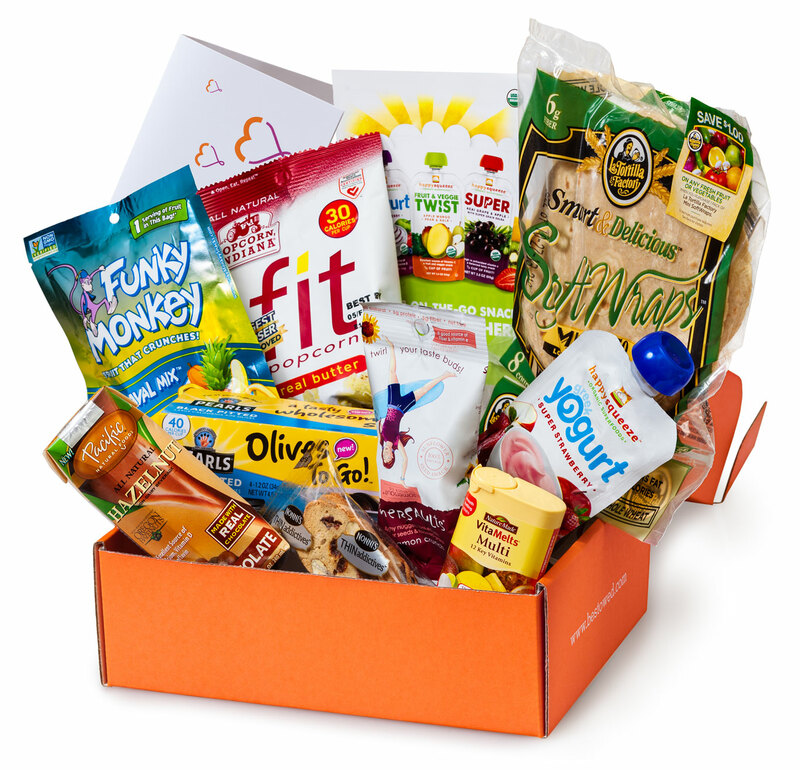 This current box features all non-GMO items and is full of a variety of products. When it comes to healthy eating everyone is different and depending on his or her body is requiring different things. Bestowed has a great mission which is to make better choices easier for everyone. I really like this mission statement and I believe they have done a good job of choosing healthier alternatives in the marketplace. Cons: Can’t think of one. I really like this popcorn as a snack. It satisfies that salty craving (with yummy flavors), is portable, and has good ingredients. What else can you ask for? Pros: I can only say good things about this snack. This company has taken the concept of portable and easy and have done it well. No crazy ingredients, just olives, salt and iron. In one container you get 30 calories, and NO SUGAR. Kids need snacks with no sugar. Pros: This milk is dairy-free which makes it accessible to many people without the issue of dairy. It also combines hazelnuts and chocolate, two winners in the taste department (think Nutella flavor). It comes in at 130 calories, makes traveling easy, and is non-GMO! Cons: I have just two cons with this one. First, it’s basically all carbohydrate with little to no fat or protein. It also contains carrageenan which has been shown to cause inflammation. It is best to avoid this if possible (as it is in most everything these days). Pros: This snack s a sunflower seed snack that is non-GMO and for the entire bag you get 140 calories, 14 carbohydrates, 6 grams of protein, and 6 gram of fat. That seems a little more balanced to me. Cons: The only problem I see with this snack is that it contains wheat (which can be a problem for many people), and processed oils. The good news is that the oil is at least GMO free. Pros: Uses some real ingredients: eggs, sugar, raisons, and almonds. Few calories: 1 package is 100 calories. Would be easy to spread nut butter on for a quick snack. Cons: I found more cons with this one. For the little package it has 14 carbohydrates and once again is made with enriched wheat flour. Pros: Uses organic ingredients. GMO and BPA free. This product is also very portable. Cons: There is very little protein in this product. Only 2 grams. It is 110 calories, but the majority of those calories are from carbohydrates and sugar. Pros: I like the taste and crunch of these fruit snacks. It is 100% real fruit with no sugar added. It’s all natural, raw, gluten free, and nut free. Very low in calories. 10 grams of carbohydrates but coming from fruit sources instead of grains. I think it’s a good snack alternative to satisfy that “crunch” craving. Pros: 1 wrap is 50 calories, 4 gram protein, and only 3 carbohydrates. The mini size makes these a good alternative to sandwich bread. These allow for some creativity. Wrap up anything, make a pizza or soft taco. Options are yours. Cons: This is obviously a grain-product and contains gluten. For those wanting or needing to avoid those then this product will not make the cut. Bestowed has also listed all the items over on their site giving you not only their reasons behind choosing the product but also where you can find all these products. Head over there to check it out, and check out their great tips and recipes for using them here. AND Bestowed is offering our wonderful fans (that’s you) $5 off your first box. You can use the code 5OFFBESTOWED03 when signing up at Bestowed. Thanks to Heather for all the great work she is doing to bring healthier alternatives and options to the public! *We received this box for free in exchange for a review. All opinions are our own.